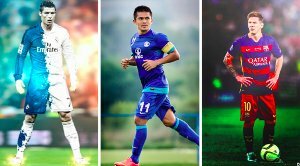 The Southern Derby ended goalless as goalkeepers on both sides turned heroes. 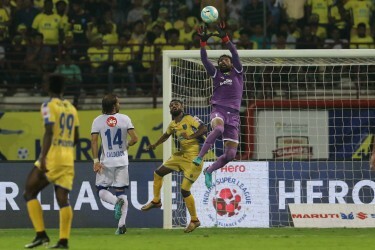 Kerala Blasters FC were held to a 0 – 0 draw by Chennaiyin FC in Hero Indian Super League (ISL) 2017-18 at the Jawaharlal Nehru Stadium in Kochi on Friday. 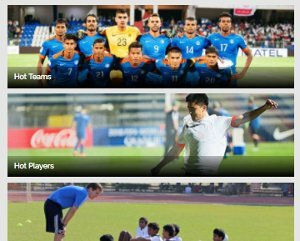 In an end-to-end encounter, the hosts had their fair share of chances and even missed a second-half penalty. The draw means that qualification for the playoffs is no longer in Kerala’s hands, and speaking to the media during the post-match press conference was their head coach David James. 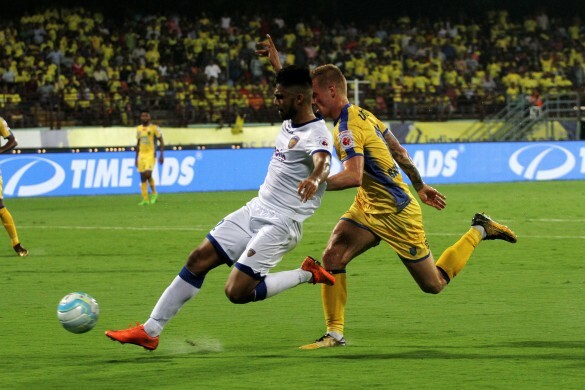 Chennaiyin FC played out a goalless draw with Kerala Blasters FC in Hero Indian Super League (ISL) 2017-18 at the Jawaharlal Nehru Stadium in Kochi on Friday. 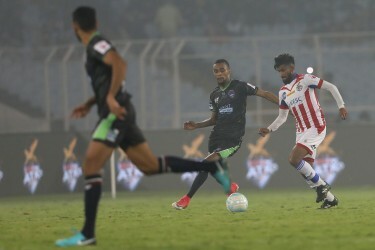 In a very open match, Chennaiyin had some good chances but their keeper and Hero of the Match Karanjit Singh to thank as he came up with some splendid saves – including from a penalty – to ensure a point for his side. The 2015 champions stay third in the table and are within touching distance of sealing a playoff spot.